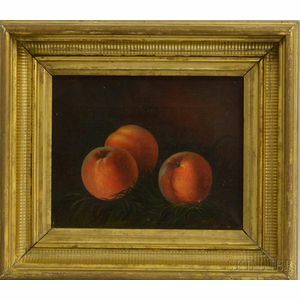 Still Life with Three Peaches in the Grass. 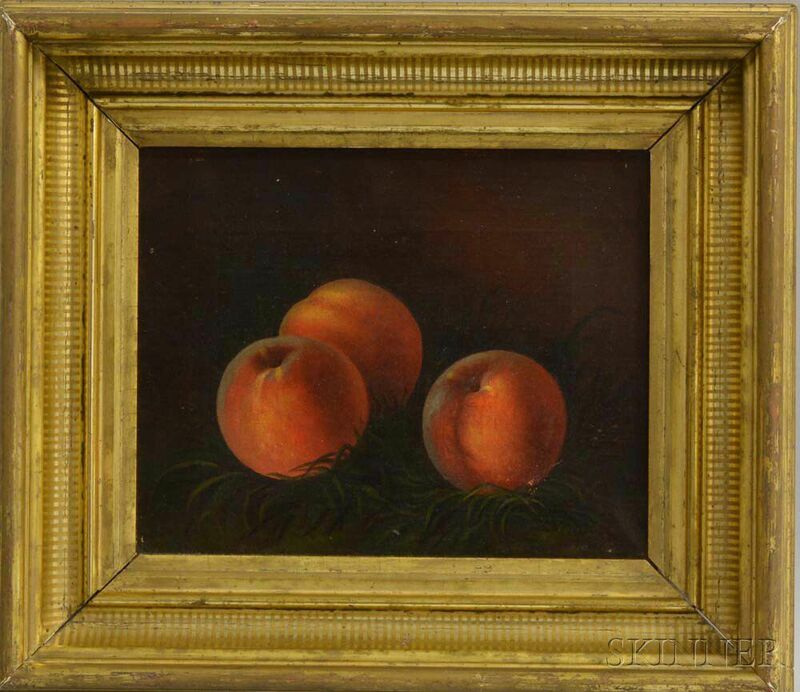 Inscribed and dated "Painted by...Keely 1868/July 20" in ink on the stretcher. Oil on canvas, 8 1/4 x 10 1/4 in., framed. Condition: Minor craquelure, small paint loss to l.l. edge, faint stretcher marks.